Richmond Main Street is elated to share this very good news! On Thursday, September 13, Representative DeSaulnier’s bill to rename the Richmond Main Post Office after Harold D. McCraw, Sr. passed in the House of Representatives. This is a tremendous step forward in honoring Mr. McCraw Sr., codifying his and the post office’s legacy in our City and Downtown, and preserving the post office as a historic site. We offer tremendous thanks to Congressman DeSaulnier and his team for their vision, perseverance, and dedication. 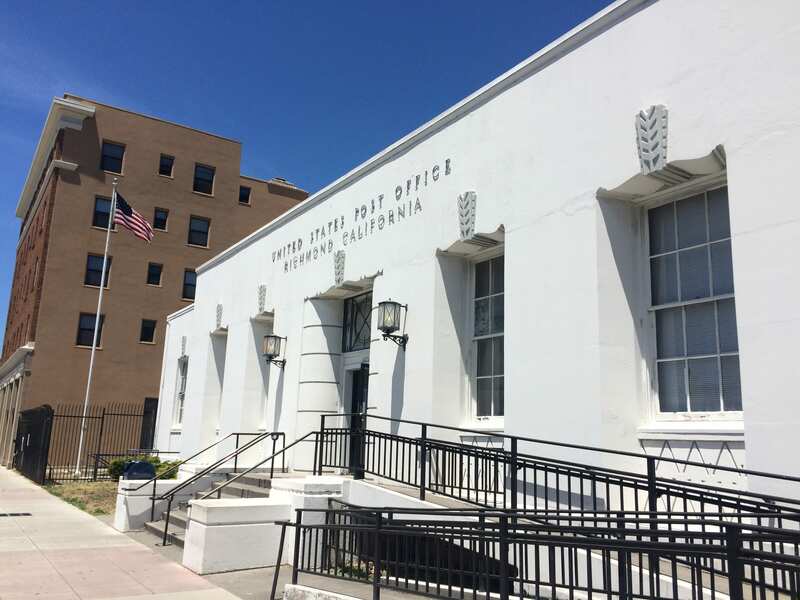 Washington, D.C. – Today, legislation authored by Congressman Mark DeSaulnier (CA-11) to rename the Nevin Avenue Post Office in Richmond, California as the “Harold D. McCraw, Sr., Post Office Building” (H.R. 606) unanimously passed out of the U.S. House of Representatives. Harold D. McCraw, Sr. was a distinguished and dedicated civil servant, who began working for the Richmond Post Office in 1965 and served the United States Postal Service for 45 years. The bill now heads to the U.S. Senate for consideration. Mr. McCraw not only served as Richmond Postmaster, but was also an active member of the Richmond community, serving on various boards and commissions, and starting the East Bay Chapter of the National Association of Postmasters of the United States (NAPUS). He also served as a member of the Board of Directors of the Greater Richmond Community Social Services Corporation, where he facilitated the development of a child care facility that has expanded to five locations and cares for hundreds of children. Harold’s contributions helped make the community of Richmond a more just and fair place to live. Earlier this year, Congressman DeSaulnier played an active role in saving the Nevin Avenue Post Office building from being sold. After urging the United States Post Office to reconsider their plans to sell the building, issuing public comment opposing the plan, and working with the Mayor and the City of Richmond to explore purchasing the post office to keep it in public use, Congressman DeSaulnier was informed in July of 2018 that all plans to sell the building have been halted.